Home Credit Credit Score Life Lessons: How Important is a Good Credit Score, Really? Life Lessons: How Important is a Good Credit Score, Really? When you’re young and careless, it’s so easy to damage your credit score. 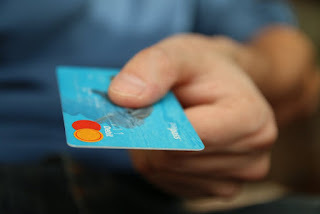 At the time having good credit seems like the least important thing in the world, and when stores and banks are offering you store cards and credit cards, it’s tempting to accept and spend with pleasure. However ruining your credit score really is bad news, debt can quickly spiral leading you to borrow more money and potentially miss payments on these too. It’s all a very slippery slope. Since any adverse credit will stay on your file for a massive six years, many people can find that their financial past really can come back to haunt them. A good credit score really is important, here are a few of the reasons why. Getting a foot on the property ladder is the dream for most young people. Unfortunately, these days it’s harder to achieve than ever. After the recession banks are incredibly picky who they lend too, not only do you need a good sized deposit but your credit score needs to be impeccable too. Without being able to buy your own home, you’re stuck renting, which is essentially ‘dead money.’ When you pay rent, you get nothing back in the long run, compared to a mortgage where every payment counts towards buying off your home. You could either ensure your payments are being made on time and wait six years for the defaults and ccjs to drop off your file, or contact a specialist company for advice. This Park View credit repair review for example states that the company provides help and advice for those suffering from low credit scores. Even when you’re renting, letting agents will want to run credit checks on you. If you fail these, you have to go through the additional hassle (and cost) of finding a suitable guarantor, which not everyone has. It’s certainly a reason to ensure your credit report stays up to scratch. Having your own vehicle gives you a world of independence. No waiting around for unreliable public transport or pestering loved ones for lifts. You can go where you want when you want which is the best feeling in the world. However buying a car is expensive, sure you could go for a cheaper clapped out model, but these aren’t necessarily going to work out cheaper in the long run. The cost of repairs is always going to be more, and your insurance is likely to be higher too. That's because with fewer safety features and older, more unreliable parts insurers see them as more of a risk of breaking down. Sometimes in life, you need access to money fast. Having a good credit score allows you to do this, and also get the best interest rates. Whether you need to cover an unexpected expense such as a car breakdown or something going wrong in the home, or you’re looking to make some planned repairs. You might even want to take the vacation of a lifetime (although this should be carefully planned as you shouldn’t be spending money you don’t have mindlessly on luxuries) Getting a loan can give you the freedom to do what you want and need in life without having to spend months saving or relying on friends and family if things go wrong. Ruining your credit score by making late payments (or missing them altogether) will affect your file for the foreseeable future. Your life can change a lot in six years, you might not need a good credit score right now, but you might do later down the line!